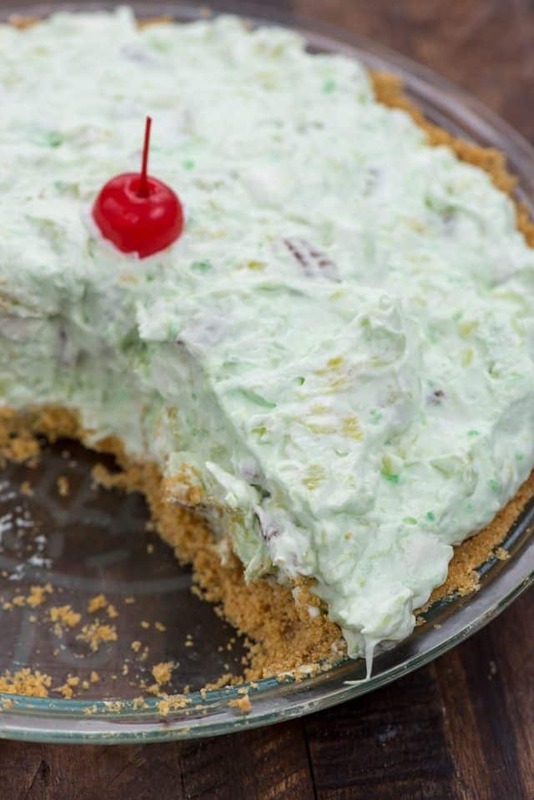 Watergate Salad Pie is your favorite pineapple pistachio fluff recipe in pie form! Watergate Fluff in a graham cracker pie crust – the best no bake pie for summer! This easy no bake pie is a new twist on an old favorite recipe. After my trip to Chicago with friends last week, Jordan’s BFF moved away to Utah. It’s been kind of emotional, but it got me to thinking about social media. If you watch the news or listen to some people talk, social media is the devil. iPhones were the downfall of society and texting has ruined our lives. While I agree that there is an addictive quality to all of those things (guilty as charged), too much screen time is bad and social media can definitely cause issues with kids and teens feeling left out, I disagree with how vehemently people think it’s done bad things for our society (Russia aside). Because of social media, I met some of my very best friends. Some live right here in California, but most are spread across the country and the world. Because of texting and messaging, I keep in touch with them on a daily basis. Last week when Lisa and Cathy walked into our hotel room, we continued the conversation we’d been having on messenger a few hours before. It was like we were never apart, and we only get to see each other once or twice a year. Heck, I only met Lisa because of this blog. She emailed out of the blue a few years ago and we’ve been super close ever since. Because of social media and FaceTime, Jordan talks to her BFF in Utah every day. People who don’t have my job tell me constantly that eventually their friendship will die off because they’re not in the same place and they’ll grow apart. I can’t stop the growing apart, but I call you-know-what on their friendship dying off; that’s what snapchat is for. If I can meet a women at a conference and become best friends with her over the internet, two kids can keep in touch. Anyway…kind of fitting that the recipe today is an old traditional recipe I turned into something new. Watergate Salad Fluff Dessert meets pie crust for a new-fangled dessert. Kind of like Facebook meets iPhone and messenger was born…or something. If you remember this pineapple pistachio fluff from the 70s, you’ll recognize this recipe. 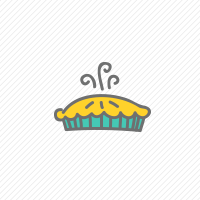 Except I took it one further and turned it into a pie! 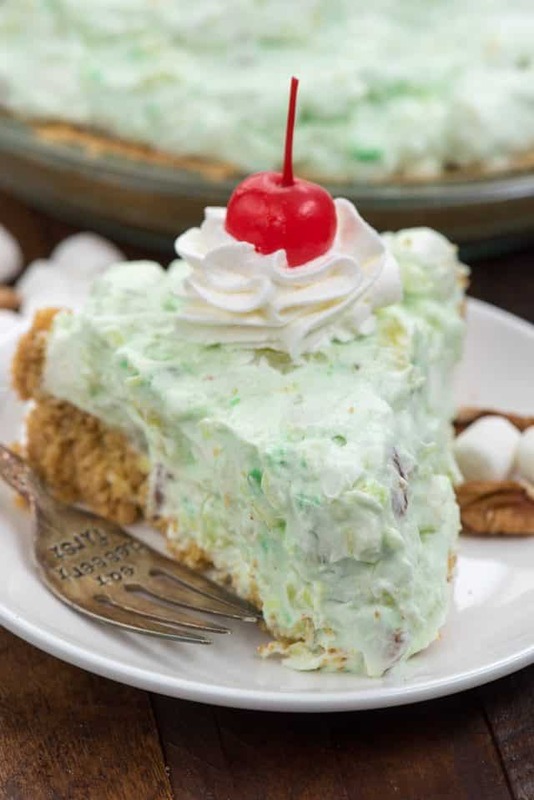 Watergate Salad Pie is a pistachio pudding pie filled with pineapple and marshmallows, all in a graham cracker crust. If you’re not familiar with this iconic recipe, it was debuted by Kraft in the 70s as Pineapple Pistachio Fluff. They invented the recipe to use their new instant pistachio pudding and back then fluff salad was all the rage. Sometime later a newspaper author coined it Watergate Salad, maybe because it was a mess, just like Watergate. Basically, this fluff is like ambrosia but without sour cream. Instant pistachio pudding is mixed with crushed pineapple and whipped topping, then you stir in marshmallows and nuts. The flavor is actually really good! Then, to make the pie, you simply pour the fluff into a graham cracker pie crust. You can use my homemade recipe or just buy a store bought one (I won’t judge). This easy no bake pie recipe is perfect for summer and everyone who eats it will have some sort of a memory about Watergate Salad. It’ll remind them of their mom or grandma or Aunt Bess; that’s what I love about these old recipes. The memories are (almost) as good as the food itself! Mix the pineapple with the pudding mix before adding the rest of the stuff. Don’t do what I did lolol. Chill the pie at least 2-4 hours before slicing. This keeps in the fridge for a few days so you can make it ahead. Want a greener color? Add a few drops of food coloring. 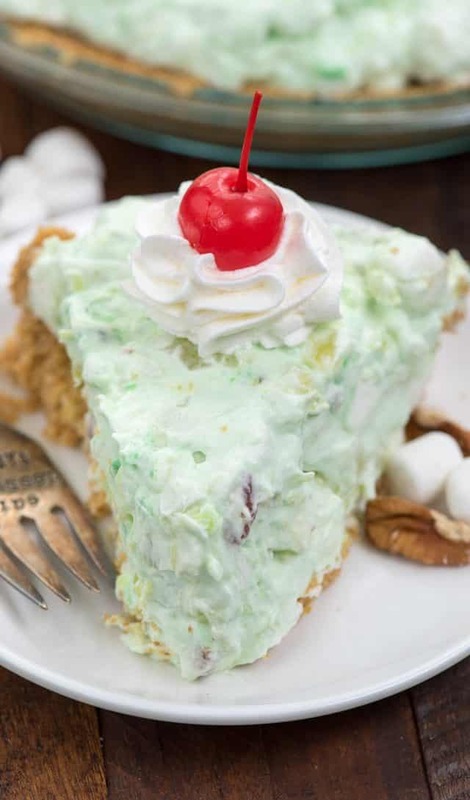 Watergate Salad Pie is your favorite pineapple pistachio fluff recipe in a pie crust! Watergate Fluff in a graham cracker pie crust - the best no bake pie for summer! Add pudding mix, pineapple and juice, and Cool Whip to a large bowl. Stir to combine. Stir in marshmallows and nuts. Place filling in prepared pie crust. Chill at least 2 hours before serving. Serve garnished with whipped cream and a cherry. Don’t miss my collection of No Bake Pies! I love this No Bake Nutella Pie and Julianne’s No Bake Mudslide Pie is calling my name. Holly’s No Bake Rainbow Pie is like a fluff pie too! 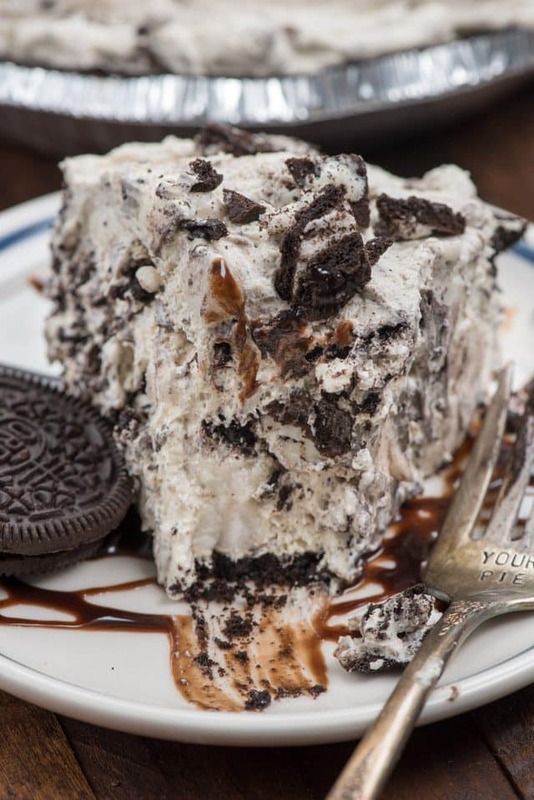 No Bake Oreo Fluff Pie is Oreo Fluff in an Oreo crust! 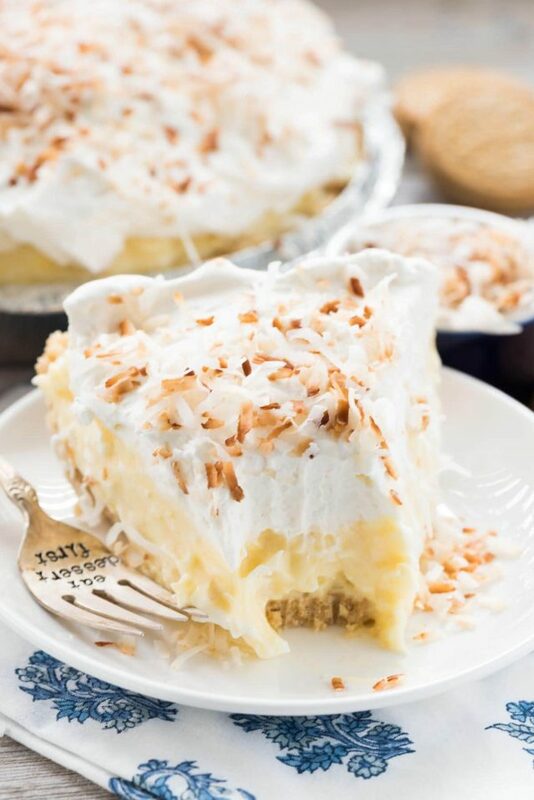 No Bake Coconut Pie has a Golden Oreo Crust! 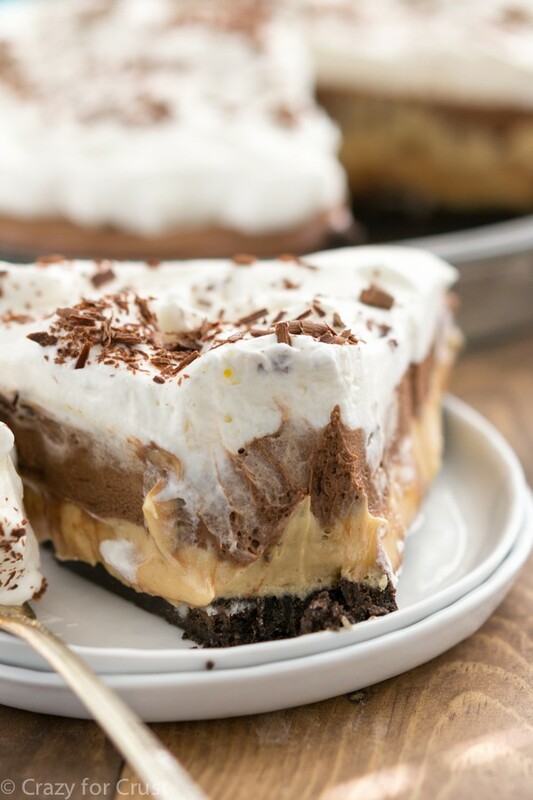 No Bake Chocolate Peanut Butter Cream Pie is everyones favorite! You, being from California, must have a different version. Here in Texas Watergate Salad has the things you mentioned but also mandarin oranges (which I like to chop into small pieces). I’m sure it’s good either way! Looks so good, can’t wait to try it. Thanks!